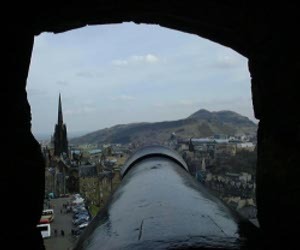 In Edinburgh Castle, besides taking in the commanding view of the City of Edinburgh, you can see Scotland's very own Crown Jewels(also known as the "Honours of Scotland") and the famous Stone of Destiny. 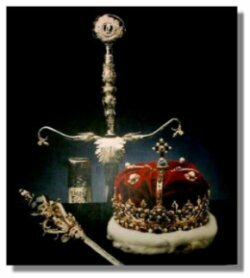 The Scottish crown jewels were left in Scotland when King James VI of Scotland inherited the English throne. The Treaty of the Union in 1707 united the Scottish and English parliaments in London, and the Scottish regalia stayed in Scotland. They consist of a magnificent crown, a sword and a sceptre. 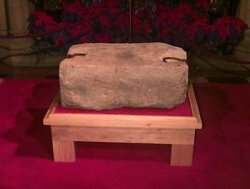 Edinburgh Castle also holds the famous Stone of Destiny,(the "Stone of Scone") after its long absence in England. It is said to be the ancient stone upon which Scottish kings were crowned. It is an oblong block of red sandstone and legend has it that it was the pillow stone used by the Biblical Jacob. As far back as 847 Scottish monarchs were seated upon this stone at the time of their coronation. It was then situated at Scone Palace,(it is also called the "Stone of Scone") near Perth Scotland. 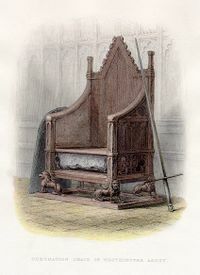 In 1296 it was captured by Edward 1 as spoils of war, and taken to Westminster Abbey in London, England. There it was fitted into a wooden chair. All English sovereigns since Queen Mary have been crowned on it since then. On Christmas Day in 1950 four students removed it in an attempt to take it back to Scotland but it was retrieved and returned to England. However, in 1996 the British Government decided that the Stone should be kept in Scotland. On 15 November 1996, after a ceremonious handover at the border between representatives of the Home Office and of the Scottish Office, it was returned to Scotland and transported to Edinburgh Castle where it remains to this day. 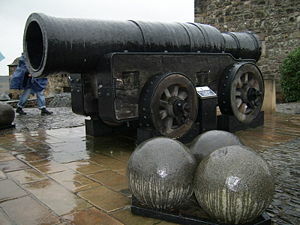 Besides all the other items of interest in Edinburgh Castle, there is also Mons Meg, a huge cannon, "She" was made in Mons, Flanders in the reign of James IV (around 1449) and the gun is mentioned frequently in public accounts of the period. 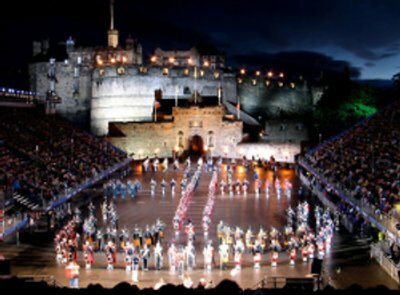 No tale of Edinburgh Castle would be complete without mention of the splendid Military Tattoo taking Place at Edinburgh Castle every year. This year it will take place from 1st - 23rd August 2008. Visit their Website at http://www.edintattoo.co.uk for information and tickets. You will be thrilled if you love bagpipe music (I do..I'm a sentimental fool when it comes to bagpipes!) and Scottish regalia. It is a truly inspiring and lovely spectacle.